When Beethoven, talking about Bach, exclaimed that to do him justice, the master’s name should not have been Bach (brook) but Meer (the sea), his remark was relevant not only to the surpassing abundance and diversity of more than a thousand compositions but also to the creative power that had come together in this supreme exponent of the most widely extended family of professional musicians ever. I see Johann Sebastian Bach as the grand master of music for all keyboard instruments: the initiator of the piano concerto, the creator of the Goldberg Variations (BWV 988), the master of the solo suite and partita, of chorale preludes, fugues, and cantatas. 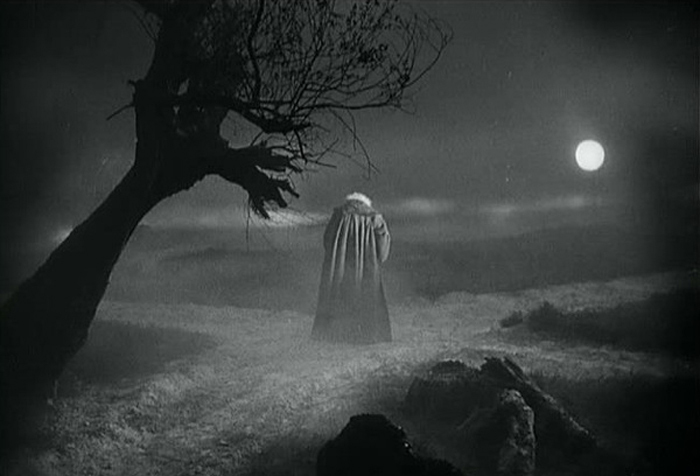 Alongside the boundless wealth of Bachian counterpoint the free-roaming creator of fantasies and toccatas must not be forgotten. In the spectacular Fantasia in A minor (BWV 922), to give just one example, no bar reveals where the next one will go. Since the second half of the twentieth century something miraculous has happened: the complementary figure of George Frederic Handel has reemerged. The opportunity to familiarize myself with a multitude of Handel’s works has been, for me, one of the greatest gifts. The drama of his operas and oratorios, his vocal invention (by no means inferior to Mozart’s or Schubert’s), the fire of his coloratura, and his characteristic clarity and generosity now make him stand beside the figure of Bach as comparable in stature. Marie-Claire Alain, the doyenne of French organists and the grande dame of the organ world, passed away on 26 February 2013. With over two hundred sixty recordings to her credit, she was arguably the most recorded organist and is only one of two people to have recorded the complete works of Bach three times (in the 1960s, 1978-1980 and the 1990s), the other being Lionel Rogg, as well as the complete works of twelve other composers. She made her first recording in 1954, Pièces inédites de Bach, on the new Erato label. It is reckoned that since her debut in 1950 she gave well over two thousand recitals world-wide. Having left the Paris Conservatoire in 1950 after six years, carrying off four Premier Prix, she won second prize at the Geneva International Competition and began her solo career in earnest. This coincided with the time when the early music revival was gathering pace and the neo-classical movement in organ building was taking off. 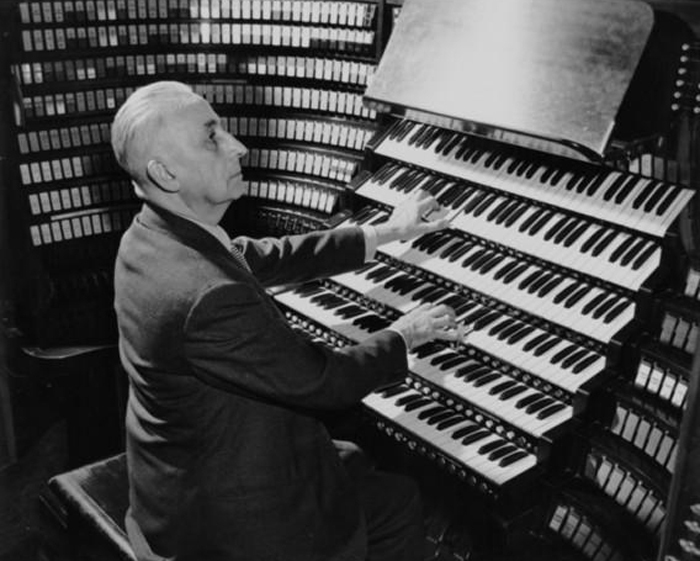 Alain was one of the first to play Bach on the new breed of organs, such as Marcussens in Denmark and Sweden, allowing listeners for the first time in generations to hear the contrapuntal writing with clarity – not exactly as Bach would have heard it – but on bright silvery instruments with balanced choruses. She was, in effect, in the vanguard of the new style of playing and adept at recording her chosen repertoire on the right instruments. But it was not just Bach and the Baroque in which she excelled, as her playing of Mendelssohn, Franck, Liszt, Poulenc and her brother Jehan Alain‘s music testifies. Much sought-after as a teacher, Marie-Claire Alain was noted for her modesty and lack of ego, as well as for her warmth and patience with even the least talented of her pupils. Here she plays the chorale prelude Wachet auf, ruft uns die Stimme (BWV 645). Edward McCue (EM) Few of us are familiar with the viola d’amore. 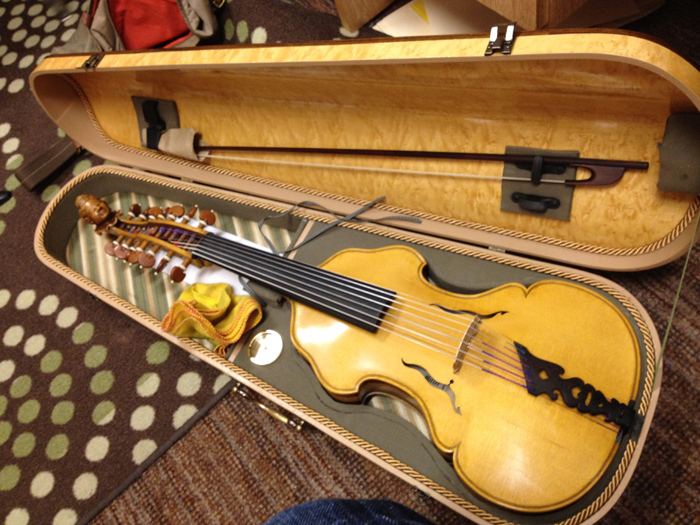 What is it about this many-stringed instrument that Bach found attractive, and what role will it play in Boulder Bach Festival performances of the St. John Passion (BWV 245), under the direction of Rick Erickson, on 1 and 2 March 2013? Paul Miller (PM) Bach already included the viola d’amore in his score for the cantata Tritt auf die Glaubensbahn (BWV 152) at the end of 1714, but we’re not certain what kind of instrument he would have known during his years in Weimar. It’s quite likely that that viola d’amore had five or six playing strings, but we’re not sure if that instrument included resonating, sympathetic strings strung below the playing strings. In any case, we can be certain that Bach appreciated the nasal quality of the tone produced by the viola d’amore and realized that it did not project as loudly as a violin. Later, while in Leipzig, Bach featured the distinctive tone color of the viola d’amore in the St. John Passion. For nearly fifteen minutes, following the violent scourging of Jesus, a pair of these gentle instruments, with the accompaniment of a lute, reflect on the beating of this innocent man during a bass arioso, Betrachte, meine Seel’, and a tenor aria that immediately follows, Erwäge, wie sein blutgefärbter Rücken. 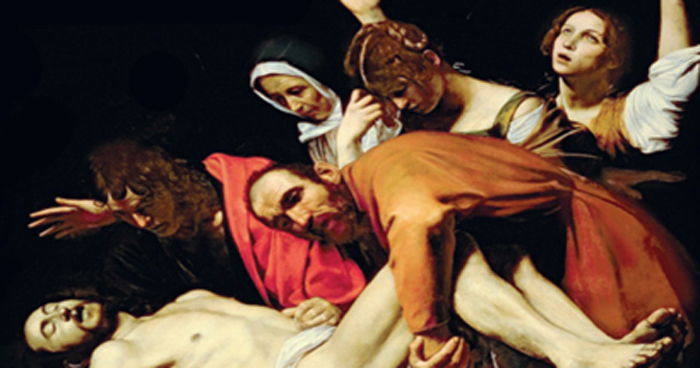 With these two arias, Bach reveals what lies at the center of his interpretation of John’s gospel, that is, whatever bad happened to Jesus must be interpreted as being good for us. This is in stark contrast with the later St. Matthew Passion (BWV 244), where our guilt and sin are lamented over again and again. 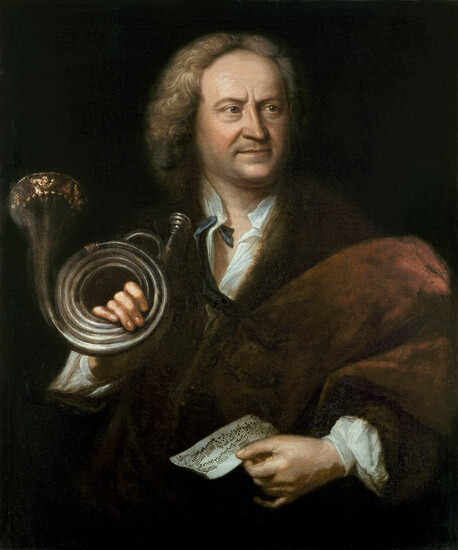 Bach portrayed the interplay between darkness and light in the St. John Passion by employing the full Baroque palette of musical devices, including contrasts in tone color. Bach was so very sensitive to tone color, and since many of the organs of his day included a viola d’amore stop, I like to imagine him really enjoying that solo stop for extended periods of time. EM Few twenty-first century listeners have had an opportunity to hear the extraordinary sound of the viola d’amore. How many orchestral string players have ever heard one, and when they do, how many commit to its mastery? PM Few upper string players take the time to double on the viola d’amore, and when they do, they must contend with a number of thorny technical issues. Since Bach didn’t specify a tuning for the strings of the instrument, Zachary Carrettin, our concertmaster for the Boulder Bach Festival Players, and I have had to discover for ourselves what tuning will work. We have found that a G minor tuning of the strings, even though the arias are in E flat Major and C minor, respectively, works really well. Even though there certainly would be other ways to go about it, we find that it is easier to play in tune with each other when we tune both instruments with the same open strings. While there are a couple of spots that are genuinely a bit tricky, most of it works pretty well with the G minor tuning, and we find that the open strings resonate very nicely in all of the right places. Zach and I have also decided to play on instruments built by the same luthier, Martin Biller. Zach is playing on Biller’s classic Mittenwald model with an absolutely beautiful arched back of interwoven cherry and maple woods. I’m playing on an viola d’amore modeled after a flat-backed instrument made by Johannes Eberle of mid to late eighteen-century Prague, so you’ll see two instruments with different shapes but complementary sounds. Lately we’ve also been working out other technical issues, including different ways of using the Baroque bow and string selections. Because our violas d’amore have seven strings, rather than the four found on modern violins and violas, it’s easy to crash into the wrong string if you’re not careful, and if you blindly insist on using gut strings, your instrument quickly goes out of tune. As a result, we’ve decided to use metal-wound perlon strings by the Viennese manufacturer Thomastik, the same string-maker that supplied Paul Hindemith when he composed and performed his Kleine Sonate and Kammermusik Nr. 6 for viola d’amore in the 1920s. EM Paul, it’s obvious that you are very much looking forward to performing the two arias that include your viola d’amore, but what will likely be the high point of the St. John Passion for the other members of the orchestra, the chorus and the audience? PM Even though I’ve always played one of the viola d’amore parts in previous performances, I think that the other players also like the d’amore arias because they give them a break from playing and an extraordinary opportunity to join the audience in listening to fifteen minutes of sheer beauty. But for all of us performing the St. John Passion, it’s the bass aria and chorale after Jesus has died, Mein teurer Heiland, that is truly amazing. This pastorale in 6/8, very much like a chorale prelude for soloist, chorus and orchestra, confirms that the terror of Jesus’ passion is finally over and that the brightness of God’s glory can now shine forth. Bach certainly composed gems for the viola d’amore in the St. John Passion, but I’ve got to say that Mein teurer Heiland is even greater evidence of his musical and theological genius. The Orgelbüchlein Project is a project to complete Bach’s unfinished collection of organ miniatures. His manuscript contains titles for one hundred sixty-four chorales, but he only completed forty-six of them (BWV 599-644). One by one, the English organist William Whitehead is commissioning composers from round the world to fill in the blanks, using the melody Bach intended, but never got around to completing. The style is completely open; imitation of Bach is possible, but most composers have chosen to create something in their own style, in homage to Bach, but reflecting a contemporary stance on the old melodies. The concert will take place in the Chapel Royal of St. Peter ad Vincula, inside the Tower of London, and will be played by Organist of the Chapel, Colm Carey. Carl Philipp Emanuel Bach wrote, “While a student in Lüneburg, my father had the opportunity to listen to a band maintained by the Duke of Celle, consisting mostly of Frenchmen, and therefore he acquired a thorough grounding in the French taste, which in those regions was something quite new.” It was through the work of French dancing masters that Germans were first exposed to the esthetics developed by artists employed by Louis XIV, and in his Von der Nachahmung der Franzosen of 1687, Christian Thomasius suggested that, “If one wishes to copy the French, one should seek to improve one’s honesty, learning, beauté d’esprit, good taste and gallantry.” To this end, the Ritterschule, a school for aristocrats featuring lessons in the French language, fencing, riding and courtly dance, was established at the former St. Michael monastery in Lüneburg, and within this same building, fifteen year old Johann Sebastian began attending the Partikularschule, a Latin school for commoners. While the pupils of the two schools ate and lived apart, they were instructed in the same academic subjects by the same faculty, and therefore Bach was surely exposed to at least some aspects of the noblemen’s French curriculum. Greatest exposure to French music and performance practice, however, was probably gained from Bach’s contact with organist Georg Böhm at St. John Church, the largest church in Lüneburg that still dominates the main market square of this city located in Lower Saxony. Although the modified Renaissance instrument was in bad repair and lacked an independent pedal division, it was suitable for introducing Bach to the French genre of stylized dance movements as well as a broad sample of North German chorale variations and preludes and fugues. 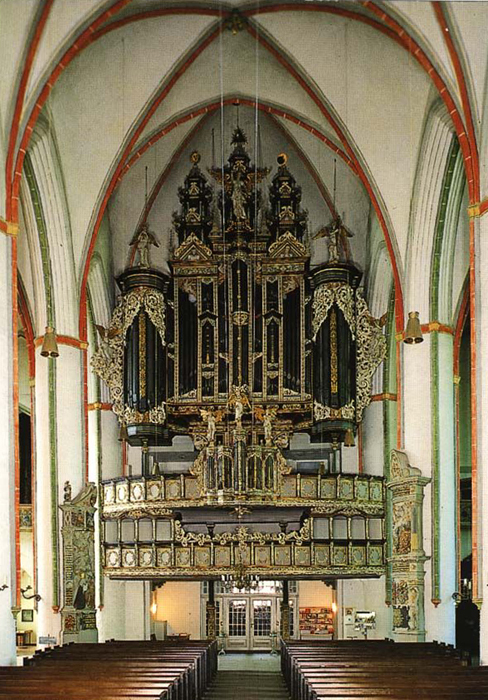 A decade after Bach’s 1702 departure from Lüneburg, the organ was renovated and enlarged with two pedal towers, and in the twentieth century its Baroque specification was carefully restored by Rudolf von Beckerath after nearly three centuries of constant use. The organ at St. John Church can be heard in an online performance of Bach’s chorale prelude An Wasserflüssen Babylon (BWV 653). 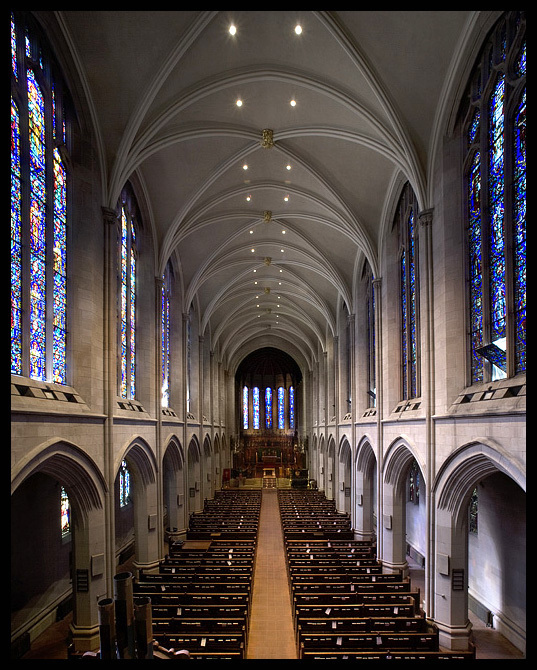 Edward McCue (EM) What is behind the title “Bach Inspirations” that you’ve given to your concerts at St. John’s Episcopal Cathedral in Denver and First Congregational Church in Boulder? Michael Unger (MU) With this program I’m inviting the audience to investigate some of the various ways in which Bach has inspired generations of musicians that came after him, how Bach himself may have been inspired by the music that he himself had heard, and also how we are all still inspired by Bach. Every organist since Bach has had different ideas on how Bach’s music should be heard and appreciated, and particularly, when we get into the nineteenth century German circle of organists and composers who studied Bach and his music, we can see how those later composers tried to capture in their own language some of the aspects of what they found so beautiful and meaningful in Bach’s compositions. 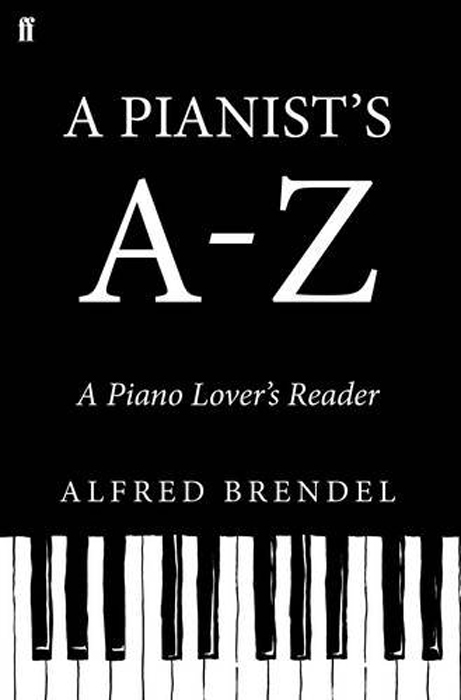 The B-A-C-H piece by Franz Liszt that closes the program is a massive prelude and fugue based on the letters of Bach’s name in the musical alphabet, according to the German system of nomenclature, with “B” spelling our “b flat” and “H” spelling our “b natural.” The whole composition is based on that rather unusual and diminished motive that Bach himself used in his compositions, and it’s a thoroughly creative work that’s a real homage to Bach. 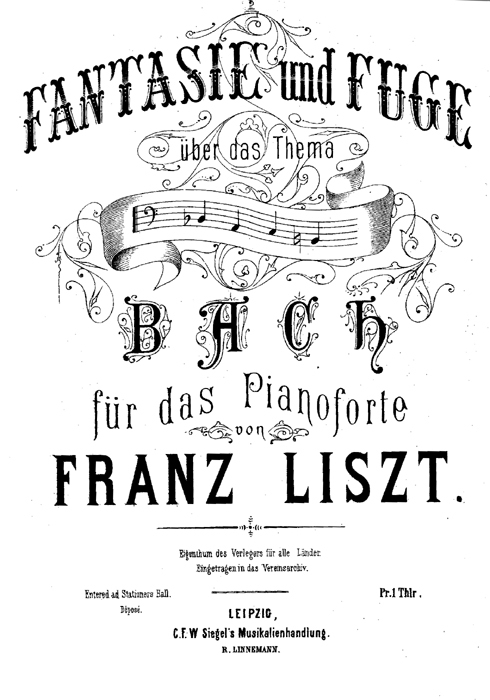 Liszt dedicated this fantasy and fugue to his Weimar associate, the organist Alexander Winterberger, in appreciation for his introduction to a huge new instrument being installed in the former cathedral at Merseburg by the organ builder Friedrich Ladegast. Liszt was so enthralled by the colors and orchestral capabilities of that instrument that the two spent days registering the piece in preparation for its inauguration by Winterberger, an effort that contributed greatly to its success. EM Speaking of colors, how are you going to determine which registrations to use with the Kimball and Salmen instruments you’ll be playing in Denver and Boulder? Can you simply look at the name of the stops and immediately know how they will perform in combination and in succession? MU You do know, to some extent, how things might work together by looking at the organ’s history, its stop list and the disposition of similar instruments, but much experimentation is required before you can really know how things will balance and blend. I’m especially looking forward to discovering the special characteristics of the solo sounds available from these two eclectic instruments, and, as the result of a trial and error process, how each behaves in two very different acoustical environments. This will be especially important for the pieces by Robert Schumann, working backwards through the program, as they were written by Schumann during a rather dark period in his life when he was struggling with some severe professional, emotional and health issues. It was at the suggestion of his wife, Clara, that Schumann began to apply himself to the disciplined study of Bach’s counterpoint. This study of Bach’s canons and fugues and the many other forms of polyphony led to a number of collections of pieces for pedal piano, an instrument that few of us know that much about today. The Studien are somewhat pianistic in construction, but they are based on counterpoint, and while the collection that I’m playing in these concerts are all canonic in construction, they are all still very much in Schumann’s own personal, lyrical language. EM Was the pedal piano capable of sustaining tones the way that the organ can, and how do you interpret music orginally written for a piano on an organ? MU It doesn’t have that much to do with sustaining capabilities of either instrument, although the pedal piano did have a sustain pedal, just like modern pianos do, but because Schumann wrote these pieces for a type of piano, they’re perhaps a little more florid in their writing and are a little more melodically driven than most of Bach’s own works for organ. EM It was intriguing to learn from Christoph Wolff’s Johann Sebastian Bach: The Learned Musician that Bach had collected works of André Raison in his personal library. 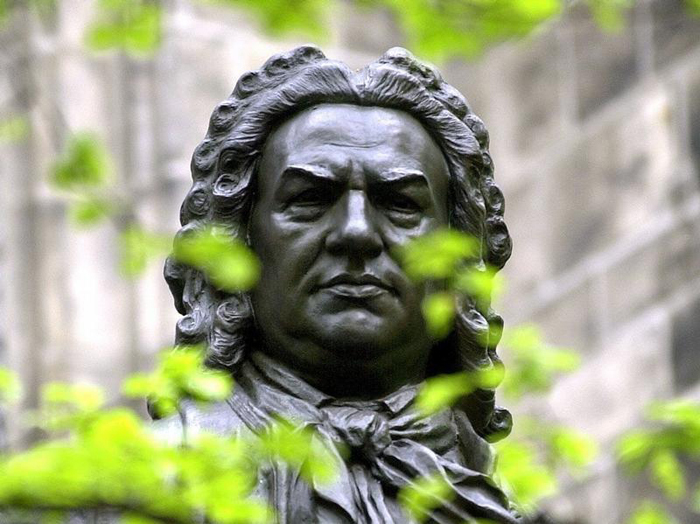 How much impact did that French predecessor have on Bach? MU There’s some speculation that a tiny little piece by Raison contained a fragment that could have inspired Bach in his composition of the Passacaglia in C minor (BWV 582). The Trio in passacaille by Raison, with its repeating bass line, is pretty similar to the opening measures of the bass line that Bach uses in his own Passacaglia. That’s why I wanted to pair them together. EM As for Frenchmen, why do you think Marcel Dupré transcribed the opening Sinfonia from the cantata Wir danken dir, Gott, wir danken dir (BWV 29)? Was it just to showcase the timbres of a large French Romantic instrument? MU It’s ever more fascinating than that. Dupré absolutely loved Bach’s music and edited the complete organ works of Bach. He taught and performed Bach all of his life, and in the case of that particular Sinfonia, I think that Dupré’s motivation for including it in his complete Bach edition was so that this cantata movement for organ and orchestra could come close to serving as an organ concerto. You’ll see that it provides a brilliant opening to the entire program. EM Tell me about the three chorale preludes by Bach that follow the opening Sinfonia. MU These three different preludes illustrate three different times in Bach’s life and three different styles of writing. 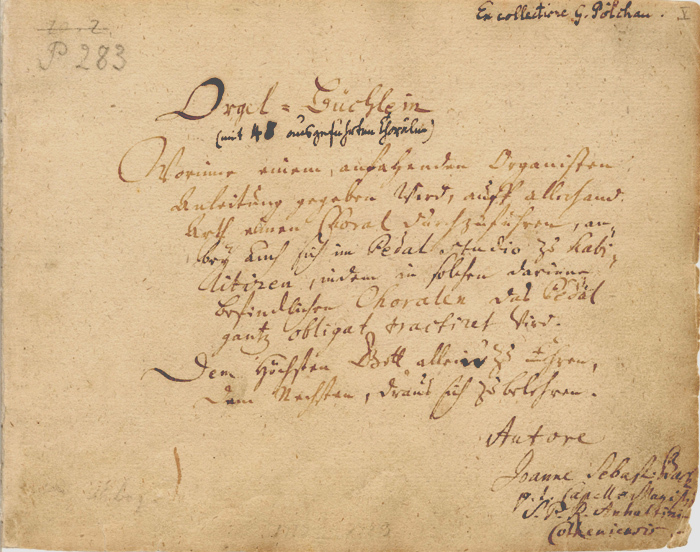 The first, Allein Gott in der Höh’ sei Ehr’ (BWV 662), is like an aria or lyrical song. The second, Kommst du nun, Jesu, vom Himmel herunter (BWV 650) is a chamber piece that really dances. Wir glauben all’ an einen Gott (BWV 680) serves as a sort of postlude that is quite fugal and features much more of the full organ sound than the other two pieces. I think it will be very much an adventure to perform these chorale preludes on the two very interesting instruments in Denver and Boulder. The Kimball in Denver is a great example of an important American historical tradition, especially since the process of its renovation has just been completed. My impression on paper of the Salmen instrument in Boulder is that it should feature plenty of color and depth. I expect that both instruments will display a lot of variety and serve the entire program very well. This will be my first trip to Colorado, and I’m looking forward to being there. I’m really honored that the Boulder Bach Festival has invited me to be part of such an ambitious series of concerts of Bach’s great music and has offered me the opportunity to perform “Bach Inspirations” on both 24 and 25 February. Boulder Bach Festival, chorale prelude, First Congregational Church, Liszt, Michael Unger, organ, Passacaglia in C minor, Salmen Organ Co., Schumann, Spencer Organ Co., St. John's Episcopal Cathedral, W.W. Kimball Co.
St. John’s Episcopal Cathedral in Denver has completed a $1.6 million restoration of its 1938 Platt Rogers pipe organ, thereby culminating the celebration of the present cathedral building’s centennial. The original organ builder, W.W. Kimball Co. of Chicago, ended production in the late thirties, so the instrument, featuring nearly six thousand pipes in a three-story chamber on the left side of the chancel, is among the last of its kind. 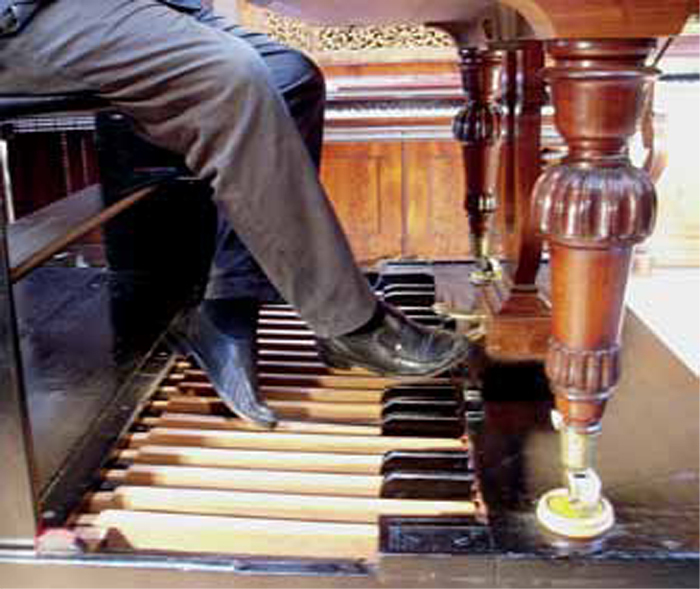 The ninety-eight ranks of pipes, crafted to emulate the sounds of instruments in an orchestra, along with the four-manualed console and windchests with electro-pneumatic action, had not been modified or updated before being cleaned, reconditioned and recently reinstalled at the cathedral by the Spencer Organ Co. of Waltham, Massachusetts. This “American Symphonic” style of organ, with a tonal design emphasizing color, depth, contrast and power, will be featured during a 24 February 2012 Boulder Bach Festival concert entitled “Bach Inspirations” to be performed by organist Michael Unger at 7:30pm. Unger, multiple organ competition winner and recording artist on the Naxos and Pro Organo labels, will interpret chorale preludes by Bach (BWV 662, BWV 650 and BWV 680), his Passacaglia in C minor (BWV 582), and major nineteenth century organ works by Schumann and Liszt that were inspired by Bach. This concert will be repeated the following evening at 7:30pm on the Salmen Organ at First Congregational Church in Boulder.